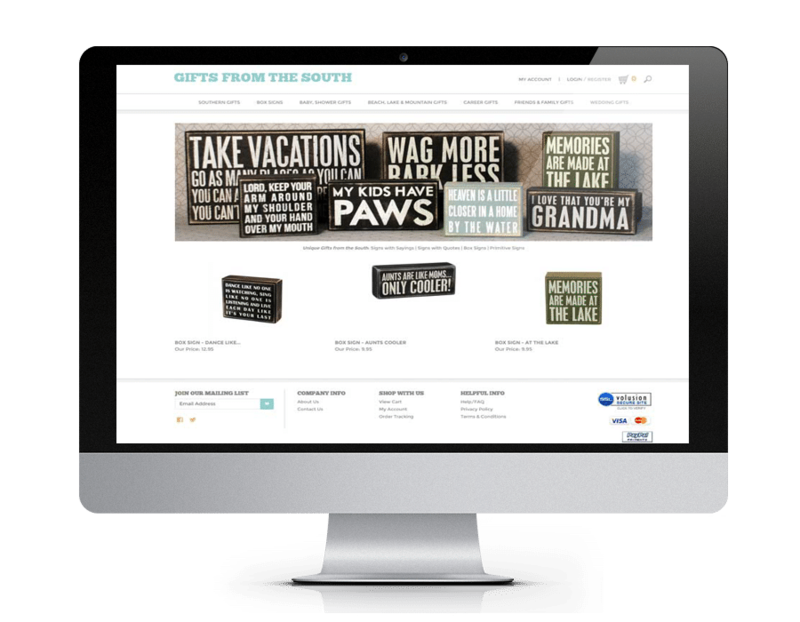 Gifts From The South is an eCommerce Website we designed and built that offers a fully-functioning administrative system. With this eCommerce system the client has the ability to manage all of their orders including shipping and tracking. Along with this, the system tracks the store’s inventory as the items are sold. This web store features Southern Gifts including Baby Gifts, Wedding Gifts, Friends & Family Gifts, Career Gifts and Box Signs. They are a Southern Gift Shop that sells Signs with Sayings, Signs with Quotes, Mini Frames, Magnet Sets and Hanging Signs. Click the link above to visit Gifts from the South.